A Texas prosecutor says a Border Patrol agent targeted a vulnerable community when he killed four women. Webb County District Attorney Isidro Alaniz spoke Monday about the allegations against 35-year-old Juan David Ortiz. He’s accused of fatally shooting four women and injuring a fifth who escaped. Alaniz said that investigators are still trying to determine a motive for the killings. A Texas prosecutor says the Border Patrol agent charged with killing four women is a “rogue individual” whose actions don’t reflect on the agency. Webb County District Attorney Isidro Alaniz spoke during a news conference Monday about the murder charges against 35-year-old Juan David Ortiz. He’s also accused of injuring a fifth woman who escaped. U.S. Border Patrol Chief Carla Provost echoed the sentiments and said Ortiz has been placed on unpaid suspension. Webb County sheriff’s Chief Deputy Federico Garza says Ortiz wasn’t on duty and wore civilian clothes during the killings. 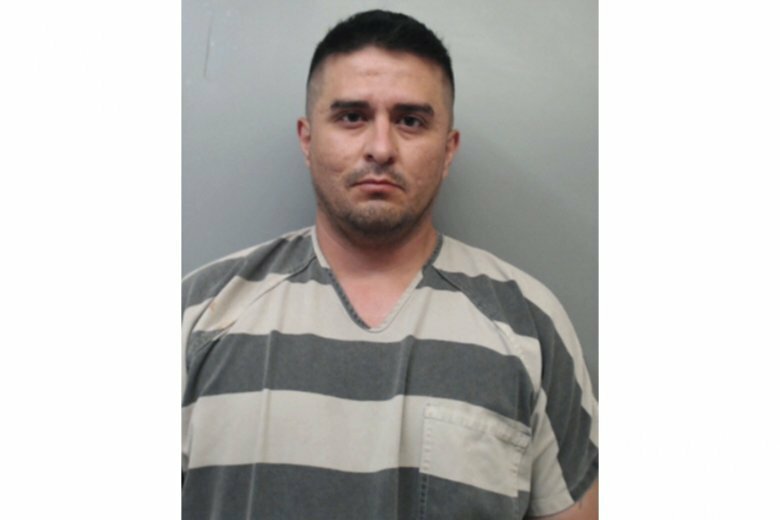 Investigators say a Border Patrol agent accused of killing four women collected an arsenal of weapons to prepare for a confrontation with Texas police after he thought he’d been identified. Webb County Sheriff’s Chief Deputy Federico Garza released the information Monday during a news conference. He says 35-year-old Juan David Ortiz collected numerous weapons at his home after another victim escaped and sought help from a state trooper at a nearby gas station. Garza says Ortiz wasn’t immediately identified as the suspect in the woman’s kidnapping and the deaths. But he was later identified and spotted at another gas station hours later. He fled and hid in a hotel parking lot. Garza says Ortiz “was going to try to commit suicide by cop” by brandishing his cellphone to look like a weapon. Instead, Ortiz was taken into custody this weekend in Laredo, Texas. He’s being held on $2.5 million bond on several charges, including four counts of murder. The Navy says a Border Patrol agent accused of killing four women near the U.S.-Mexico border was in the service for almost eight years. A biography of Juan David Ortiz released Monday says that he enlisted in the Navy in July 2001 and served until May 2009. He was listed as a hospital corpsman, second class. He joined the Border Patrol shortly after leaving the Navy. The Border Patrol often recruits servicemembers and gives hiring preference to eligible veterans. Authorities say the 35-year-old Ortiz “provided a voluntary verbal confession” early Saturday in the deaths of the four women. He’s being held on $2.5 million bond on four counts of murder, aggravated assault with a deadly weapon, and unlawful restraint. A U.S. Border Patrol supervisor remains jailed in Texas after he confessed to killing four women and assaulting a fifth who managed to escape, police said in court records. According to affidavits , the 35-year-old Ortiz “provided a voluntary verbal confession” early Saturday in the deaths of the women. Webb County District Attorney Isidro Alaniz described Ortiz as a serial killer whose victims were believed to be prostitutes. Jail records don’t list an attorney to speak for Ortiz, who had worked for Border Patrol for 10 years. He is the second Border Patrol agent in Laredo to be arrested on a murder charge this year.